An illustration of the new Kerzner Estate which offers luxury residential houses, priced from just over R20m incl. VAT and with no transfer duty payable. The new Kerzner Estate which is set to be one of the most exclusive Cape Town residential estates in the country, has officially launched. The ​10​ha estate is located high on the slopes of Leeukoppie, just off Victoria Road with stunning views towards Chapman’s Peak, the bay, valley and mountains​. The estate offers 48 luxury houses with three, four and five bedrooms, priced from just over R20 million inclusive of VAT with no transfer duty payable. Ross Levin, Seeff Atlantic Seaboard and City Bowl developments director, says that Seeff ​has enjoyed the opportunity to work closely with the Kerzner family again. Given that this is the Kerzner’s home here in South Africa, this is a project close to their hearts, so much so that this is the first development ever to carry the Kerzner family name. Kerzner needs no introduction and is a hotelier of world standing who has brought enormous prestige to South Africa. 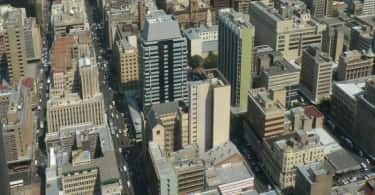 He bought the original property in 1983 and it has served as his Cape Town home since and is famed for hosting visiting celebrities and delegates and for his New Year’s Eve parties. Developed as an eco-estate, each plot is around 1500sqm. 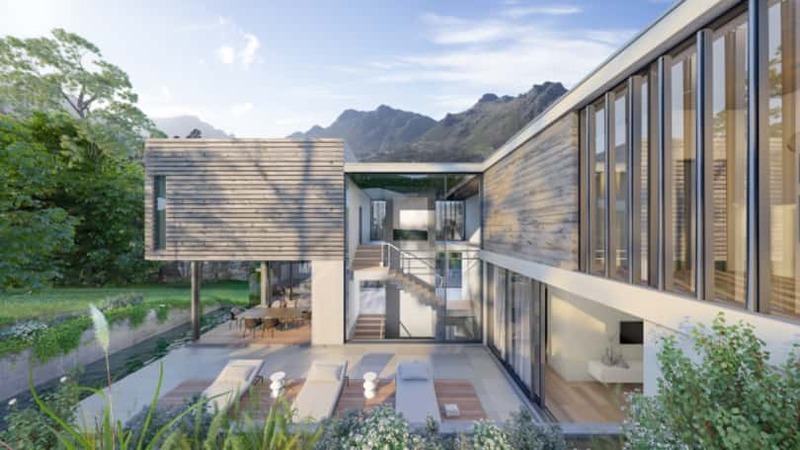 The luxury houses feature unique designs with greening elements and the use of natural building materials such as wood and stone, tailored to suit each individual site, all under the careful eye of Sol Kerzner and his daughter, Andrea, says Levin. In typical Kerzner style, six architectural firms are involved in designing the homes of the first release. These include Dennis Fabian from Fabian Architects, who has a long-standing history with Sol Kerzner along with Stefan Antoni from ARRCC, Sean Mahoney from studioMAS, Jonathan Jacobs from Metropolis, Sally Tsiliyiannis from Gapp and Ian Gray from COA (Craft of Architecture). Each home is designed in a manner that it cannot be picked up and placed on any other plot, because the architecture of each home is tailored to the site like a great suit. This means that every home maximises on the unique features that the particular site has to offer. All houses enjoy air conditioning, fireplaces in the living areas, en-suite bathrooms to every bedroom, provision for grey and rain water harvesting and top of the line finishes. House sizes range from 374sqm-738sqm, but there is no one-size-fits-all here and each house will be unique, designed by a different architect to fit the plot perfectly and bring out the best views/features possible. Aside from the top class architectural designs by some of South Africa’s top architects, the finishes will be of superior quality. This will include EuroCasa Kitchens and Miele Appliances, aspects such as stone and wooden flooring, top quality bathrooms, double glazing, air-conditioning in bedrooms, fireplaces in the living areas, a swimming pool, an allocation for rain water and greywater harvesting and landscaping allowances. One of the core principles that Mr Kerzner built his hospitality success on is to ‘blow the customer away’ and Levin says that the same attention to detail and the highest standards applies to this estate. At the launch of the estate, Mr Sol Kerzner said that this piece of land is like paradise at the southern tip of Africa and while he travelled the world, this is always the place that he called home. His daughter, Andrea Kerzner, who is his partner in the project, said that this is a very special estate and their focus on attention to detail has been such that they are not just selling off plots, but are acquiring neighbours. There is quite simply nothing like this estate anywhere in the country and this is a first of its kind. The homes are designed to be special in every way. 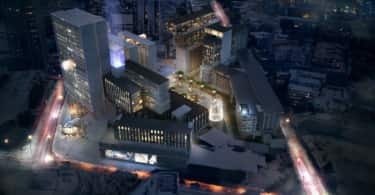 The estate will have top security, a fitness centre, and access to a host of Kerzner Hospitality services that residents may want to make use of. The indigenous vegetation of the estate will be restored with fynbos replacing all alien pine trees. The estate is just a 15-minute drive from the Atlantic Seaboard attractions and Blue Flag beaches and also from the top private schools here and in the Southern Suburbs. Levin says that he expects significant interest in the development to come from buyers within the Cape looking for a luxury security estate home as well as from upcountry areas such as Johannesburg and Pretoria. The estate will also appeal to international buyers looking for a second home in South Africa. The estate was formally launched at the Kerzner Estate on Tuesday, the 13th February 2018.